New Southwest Border Arrests Jump 78 Percent In November The Trump administration blames unfavorable judicial rulings for encouraging an increase in illegal crossings. 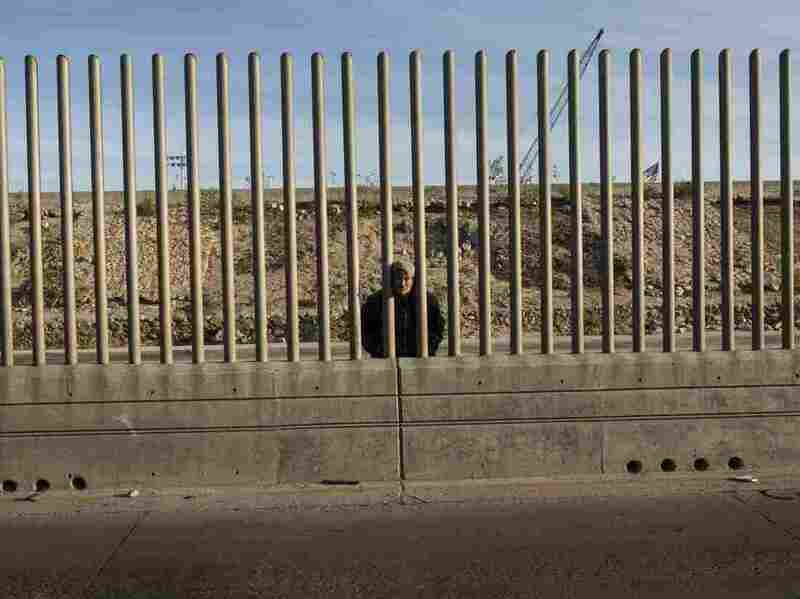 Issac Rodriguez, from Sinaloa, Mexico, peers through the fence that divides Mexico and the U.S. in Tijuana, Mexico. New government figures released Friday show that the U.S. Border Patrol arrested 51,856 individuals attempting to illegally cross the southern border in November. That's a 78 percent increase over the same period last year. The escalating arrests represent a high-water mark for apprehensions under the Trump administration and the number of those apprehended are increasingly adults with children. In November of last year, 7,016 "family units" were apprehended. In November 2018, the number of families arrested jumped almost fourfold to 25,172, while only 5,283 were unaccompanied children. "The November 2018 border numbers are the predictable result of a broken immigration system — including flawed judicial rulings — that usurps the will of the American people who have repeatedly demanded secure borders," said Department of Homeland Security spokeswoman Katie Waldman, in an emailed statement. Waldman blamed a recent ruling by a federal judge in San Francisco that blocked the Trump administration from requiring asylum seekers to present themselves at ports of entry. "Unfortunately, individual district court judges in separate immigration rulings have given another free pass to illegal aliens to violate our laws. This has consequences," Waldman said. She added that the increase in illegal border crossings is a key factor in the president's deployment of more than 5,000 troops to the southern border to deter the migrant caravan originating in Central America. U.S. Border Patrol data covering fiscal year 2000 to FY2017 shows that the last time more than 50,000 people were arrested at the southern border in the month of November was 2007. It was during the administration of President George W. Bush and 51,594 people were caught. Back then, the unauthorized migrants were largely Mexicans. The current wave of migrants is increasingly from Central America's "Northern Triangle" countries of Guatemala, Honduras and El Salvador.